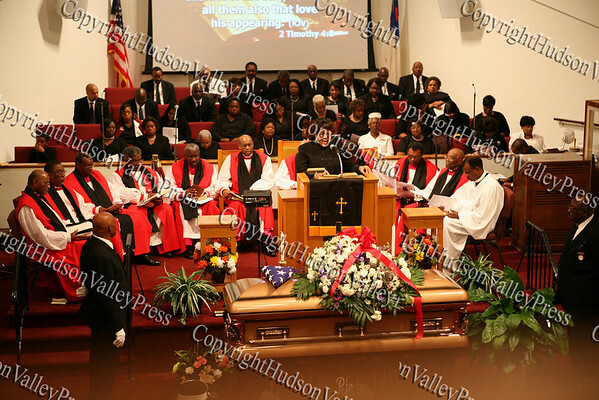 Celebration of Life for Bishop George Johnson at Mt. Carmel Church of Christ, Disciples of Christ in the Town of Newburgh on Monday, October 6, 2008. Elder Dr. Sheila Gillams offers words of comfort during the funeral service of Bishop Johnson on Monday, October 6, 2008 at Mt. Carmel Church in the Town of Newburgh.